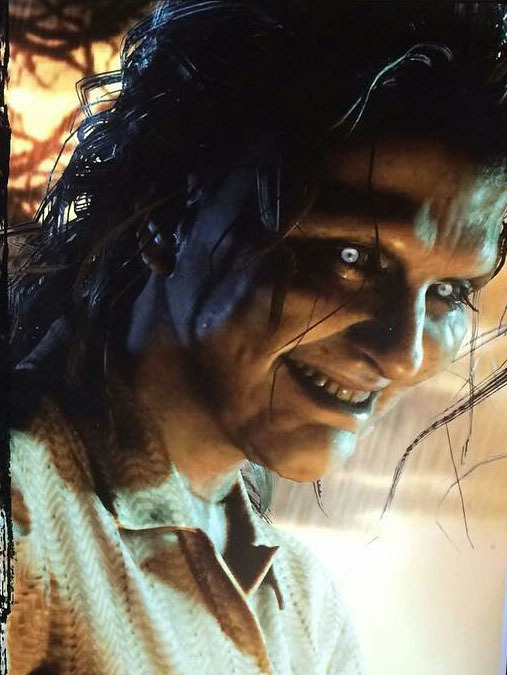 Marguerite Baker is the second family member that will make your life hell in Resident Evil 7. After you kill Jack Baker, she’s more than a little angry. You’ll have to fight Marguerite Baker twice during the game, but during the later part of your adventure in the Old Bug House you can encounter her and either choose to fight of flee like a cowardly dog. If you fight, be warned that it takes even more gunfire to knock her down when she’s chasing you than it did Jack, and Marguerite will use her insect friends to attack you at range. Flamethrower and Flame grenades. Lots of fire. Just burn down the entire mansion complex and go home. The boss fight with Marguerite Baker in the Greenhouse is a difficult battle. Mostly this will be a battle of attrition as Marguerite is a bullet sponge. Search around the top floor and eventually, you’ll trigger her appearance. The shotgun, incendiary grenades and Burner are your friends. She’s susceptible to fire, so use the Burner until you set her ablaze, then switch to the shotgun and aim for her head and hornet’s nest crotch. One of the best ways to fight her is to get her lodged in one of the rooms downstairs. If you’re in a room with a ceiling while you’re fighting her, she has a much harder time getting away from your attacks. On the second floor, she can move at will, making it much harder to get consecutive hits on her. Additionally, DO NOT get trapped in the stairwell with her, she can be obnoxious, and her attacks are powerful. Also, if Marguerite says anything about looking up, just run away, don’t look up. Just keep plugging away at her and eventually she’ll die. I was at almost no ammo when she finally froze and split into a million pieces. This is the key. Just shoot, run and shoot some more.